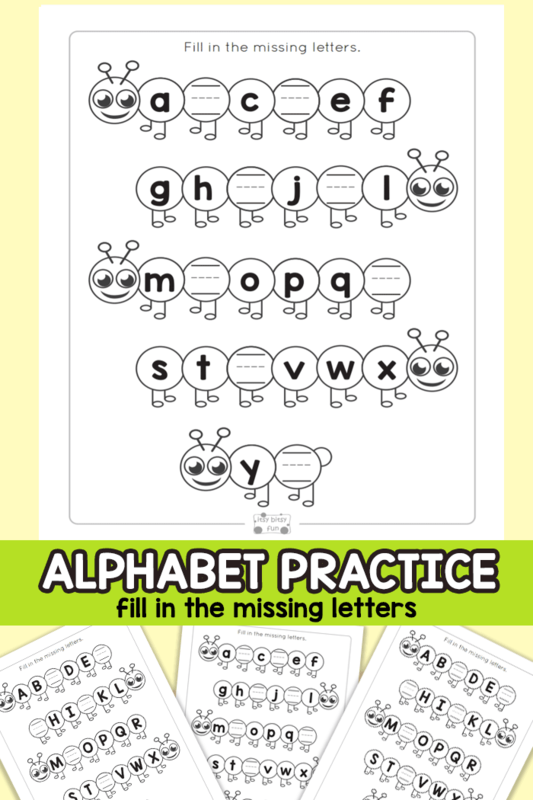 Learning to read and write the alphabet can be challenging for some kids, but these Caterpillar Fill in the Missing Letters – Alphabet Worksheets make it easy and fun. The caterpillar stretches out to encompass the entire alphabet in either lowercase or uppercase letters. On each worksheet, letters are missing that they must identify and write. 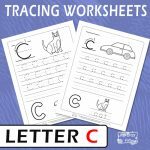 There are several “fill-in” the missing letter worksheets available. 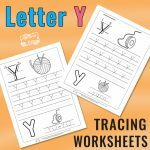 These worksheets can be used by parents in homeschooling, by teachers, or by daycare centers. They are aimed at kindergarteners who are first learning to say, read and write their alphabet. The worksheets can be used to reinforce all three of these goals for the alphabet with various activities. In a group setting, you could give each child a different worksheet with different letters missing. The children say their alphabet slowly and each child pipes up when their missing letter is said. Then they write the letter for practice. For additional practice, laminate the worksheets and use with erasable markers. You can erase them and mix them up, repeating the exercise with the children so that everyone gets a chance to write all of the letters. 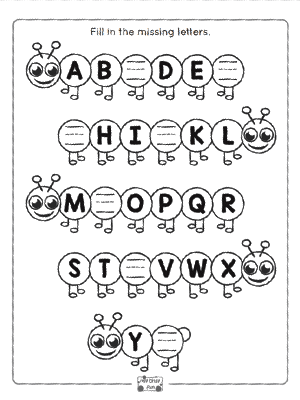 If using these worksheets in a one-on-one setting, have the child say their alphabet and recognize the missing letter. Then ask them to write the letter. Laminating the worksheets works well in this case as well because the child can erase and practice over and over again until they get it just right. If the child is struggling with creating the missing letter, you can pull out some handwriting paper or use a whiteboard to help them practice. 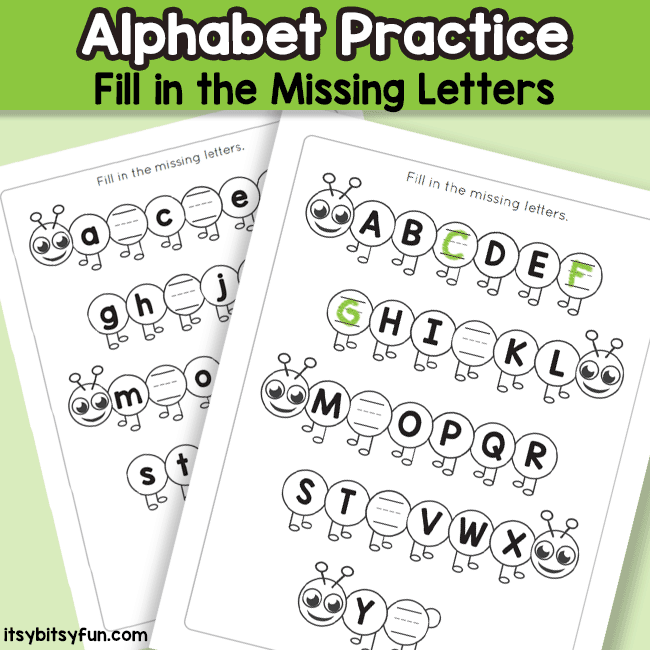 Practice both upper and lower case alphabet. Get your Caterpillar Fill in the Missing Lowercase Letters here. Grab your Caterpillar Fill in the Missing Uppercase Letters here. Liked these? 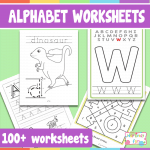 Why not also take a look at the Alphabet Coloring Pages or print out these ABC Flash Cards.